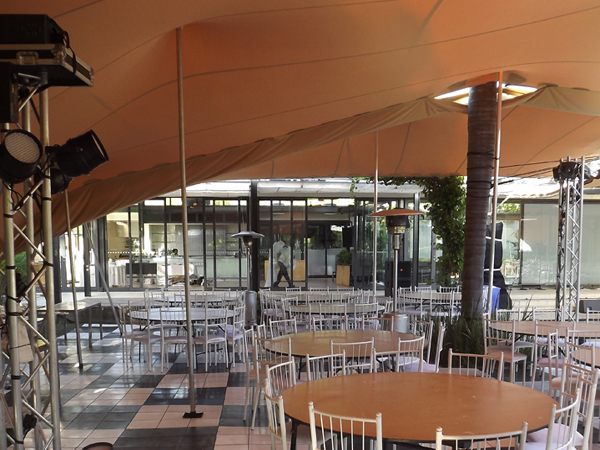 AV Direct setup a large outside area consisting of AV, Lighting and Audio for the entertainment and lunch sessions each day. 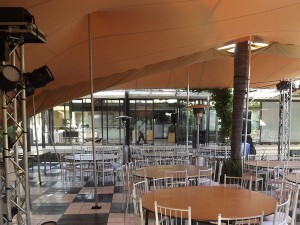 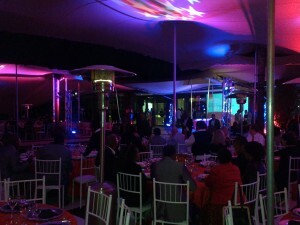 Cozi Hiring services setup two large bedouin tents, while AV Direct and Instant Flooring provided event flooring around the pool area. 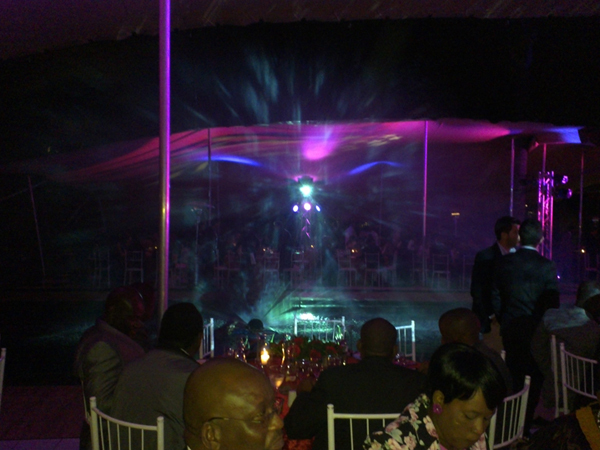 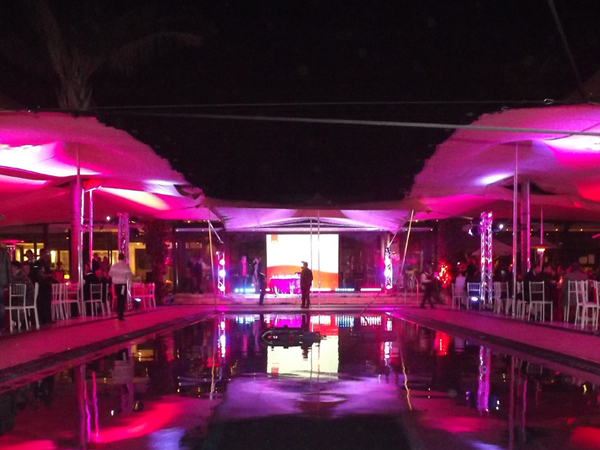 The main attraction for the event was always going to be the AV water screen designed by our research and development team here at AV Direct. 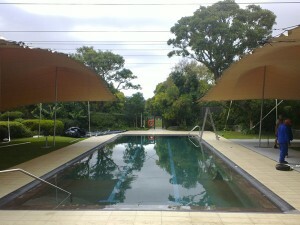 The pump had to be re-designed and fitted to set according to the swimming pool size. 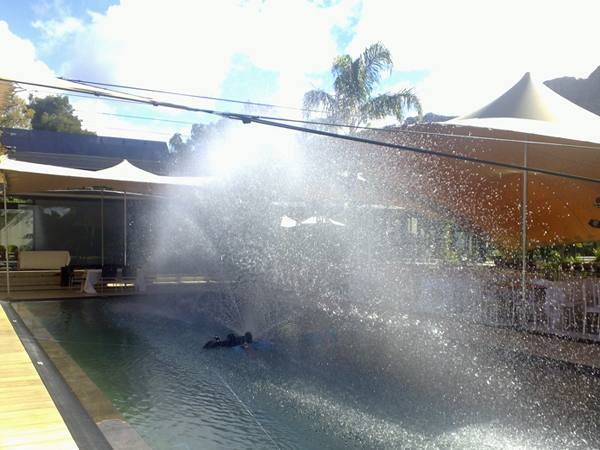 The surface area of the water screen was roughly around 5m x 18m in size. 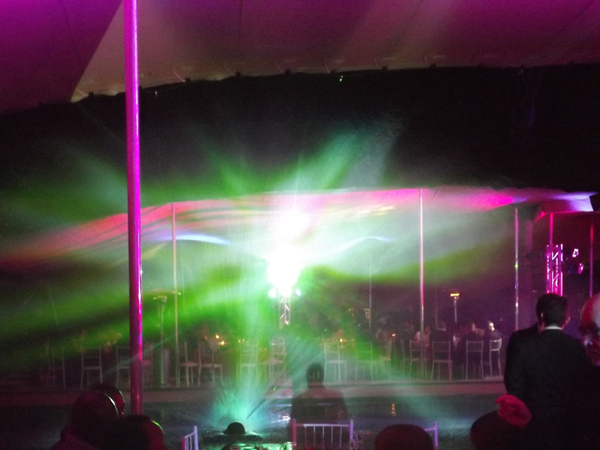 Two Christie LX 700 projectors were setup on either side of the water screen, along with BriteQ Spectre 3D lasers and LED spot lighting. 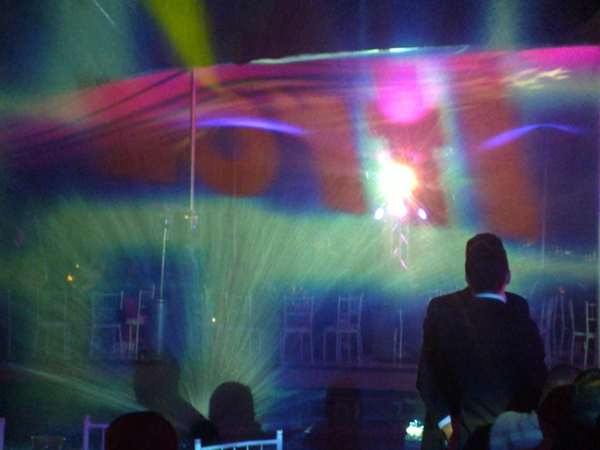 BriteQ BT91 Wash lights were used to light up the inside of the bedouin tents creating a stunning ambient effect around the venue. 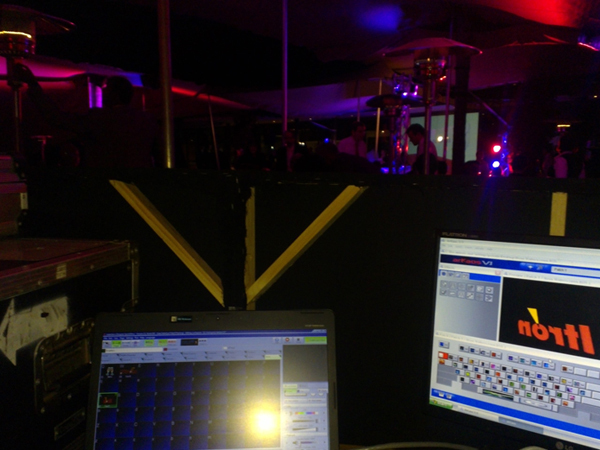 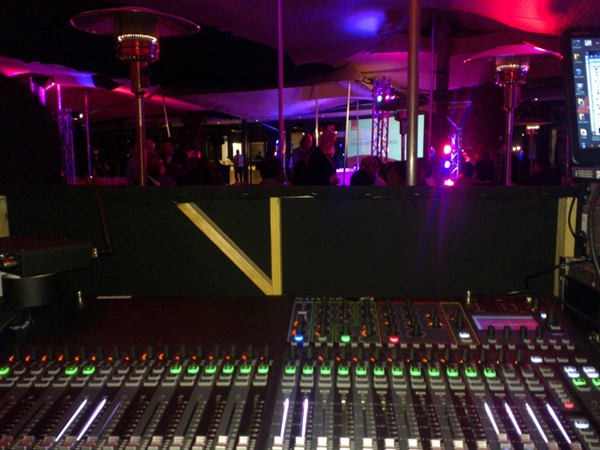 Projection and laser was controlled using Pangolin Laser software, while audio was controlled through our Soundcraft SI Compact digital console. 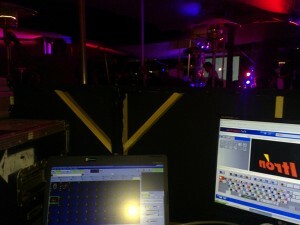 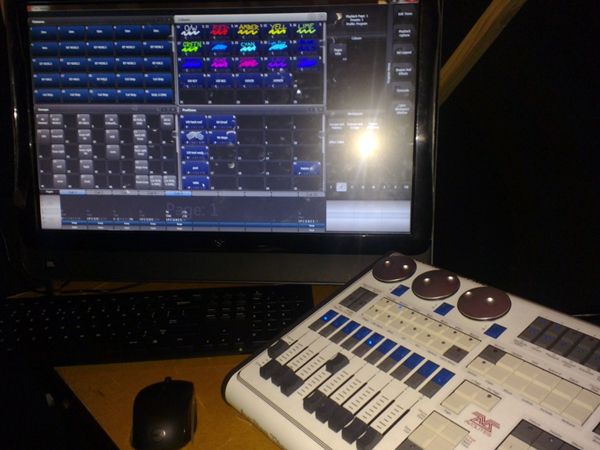 The lighting controller used was the new Avolites Titan Mobile desk.